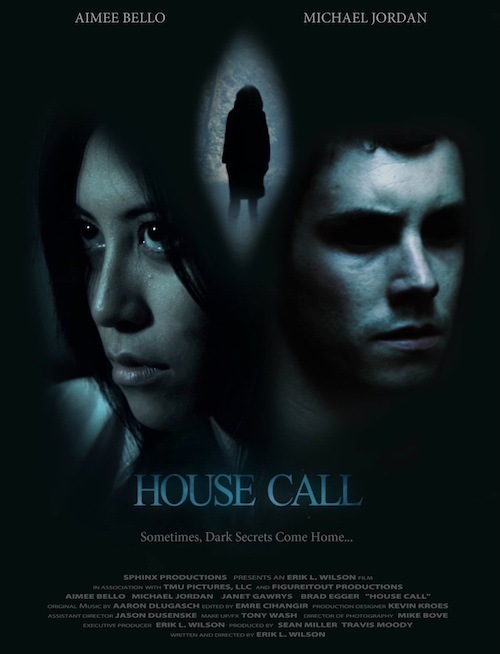 ‘House Call’ is a short film that has just recently been submitted to the festival circuit. It is written and directed by Chicago based independent filmmaker Erik L. Wilson and is shot entirely with a Red One camera. While the actual content here is questionable, from a technical standpoint it is commendable taking into account that it was produced on a small budget of just $12,000. The short tells the tale of a young woman named Janice (Aimee Bello) who murders her abusive unloving husband Dave (Brad Egger) to start a new life with her new boyfriend Steve played by Michael Jordan (no not that Michael Jordan). However, although Dave is long gone from the world his mother (Janet Gawrys) practices black magic and she conjures a spell to exact revenge on Janice on the night of her and Steve’s first year anniversary. If this synopsis makes it sound like you will have a hard time taking this supernatural story seriously then you will especially considering Wilson takes the serious route with the material that instead of scaring us just induces eye-rolling reactions. 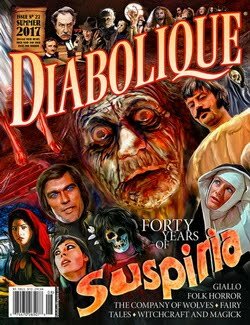 This is a shame because if it was played out in a more humorous campy way with its tongue firmly in cheek in the vein of Sam Raimi’s ‘Evil Dead II’ (1987) and ‘Drag Me to Hell’ (2009) it could have been a helluva of a lot of fun as the schlocky premise certainly has the potential for this tone. Despite the director’s best efforts in trying to inject an atmosphere of dread aided by the isolated setting of a house out in the woods and supplemented by Dan Nelson’s to an extent mildly effective score when it hits all the right places it ultimately falls flat. 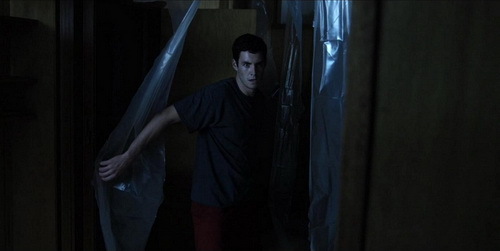 This is due to the predictable contrived clichés that pile up in trying to build suspense and tension. Another problem is that the premise is better suited to a full-length feature as it really contributes to a distinct lack of depth in character. In a short 18-minutes runtime, this really should have been the main focal point but the film is more concerned with showing off its displays of impressive technical aspects. Never emotionally invested in the two leads we care little about their fates though the actors try their best with what they have to work with which unfortunately also includes some very forced and unnatural dialogue. Although, ‘House Call’ was made by Eric L. Wilson to showcase his skills in horror filmmaking to help sell a script for a genre feature and those “impressive technical aspects” could help him do that. These redeeming qualities give this short merit with much-deserved props due. Shot just in I would imagine a hectic three days the first thing that caught my eye and left a lasting impression is the gorgeous cinematography by Mike Bove. If some of you are sceptical about the use of digital cameras rather than traditional celluloid, the Red One camera is a very high resolution and is unique in that it is 100% digital but yet it looks wholly just like film. It should not be confused with HD, as it is its own original technology. A recent perfect example of just how beautifully lush Red One can look can be seen in the hugely controversial A Serbian Film (2010). No matter what your thoughts might be on the actual subject matter of that movie one thing for sure is that it all looks stunning. 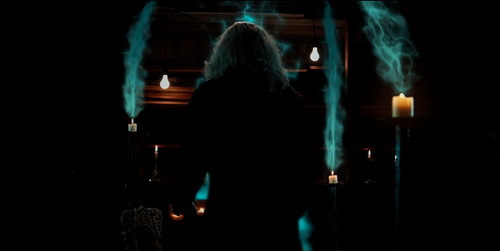 Back to ‘House Call’, and what else that makes it such a visual treat is the fantastic special effects. 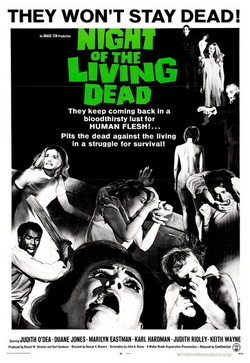 The practical SFX makeup by Tony Wash is gruesomely convincing and the use of the CGI by Emre Cihangir does not just look great but it is smartly used too as it is never overused just in the right moments of requirement when the story asks for it to portray the situations of the supernatural elements. This is where big-budgeted Hollywood studio features desperately need to take note. The editing also by Cihangir is efficiently fluid with the action of the scenes. The combination of all this takes you away from the fact that you are watching a very low-budget production. In a technical respect, Wilson’s short is an achievement. Basically, ‘House Call’ is a promotional short made purely to display filmmaking talents, which is apparent here but it could have just done with a much better script to serve its well-executed technical side. With future projects, if more time is spent fleshing out his writing aided by a better shooting schedule to allow his creativity to grow Erik L. Wilson could be a name to watch out for in the future. For more information go to the 'House Call' Facebook page here. I heard good things about this film, I love independent films! I'd love to check it out. It's technically impressive but aside from that I cannot recommend too much else about it.